Prime Chesterfield Location! 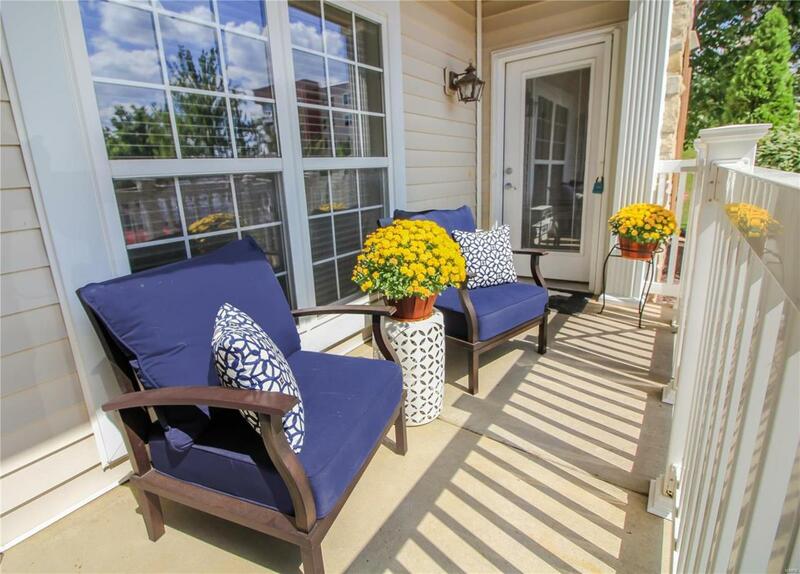 Shows like a display, move in ready Main Floor End Unit Condo! Walk directly in from your private covered patio to your unit (Perfect for Pet Owners) or use main entrance from lobby. 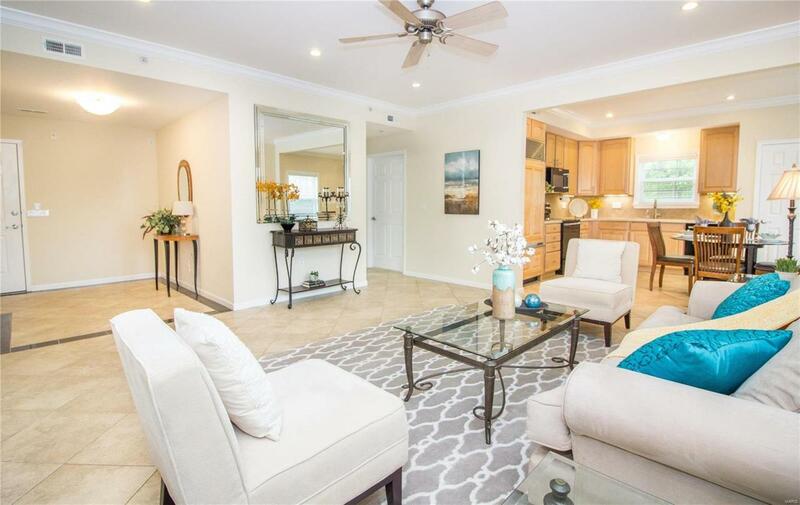 You will love the open floor plan with easy to maintain tile flooring. Large living room opens to Kitchen and Dining area. Updated kitchen with Newer High End Appliances, Solid Surface Countertops with Tile Backsplash and Under Cabinet Lighting, 42 in Cabinets plus Sub Zero Refrigerator included. 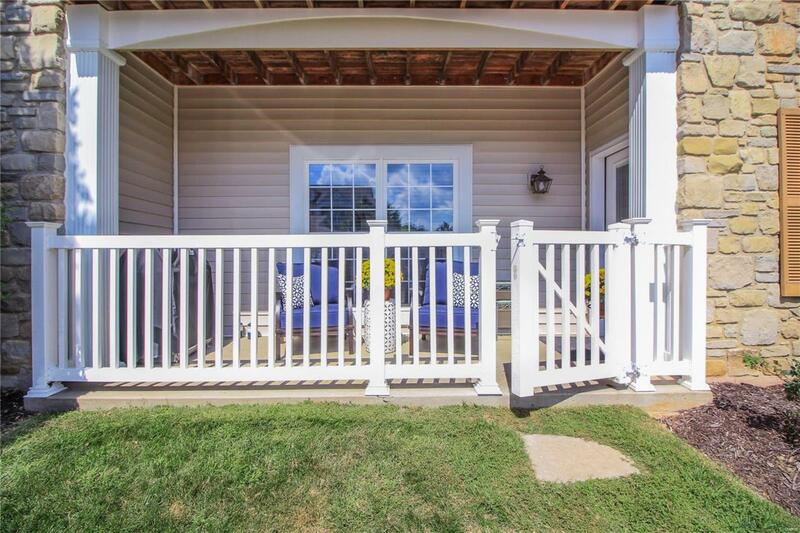 Master suite has Coffered Ceiling, Adult Height Vanity in Private Bath, Walk in Closet with Newer Custom Closet Systems. Bedroom 2 has built in closet system. 2nd Full Bath for guests, 9 FT. Ceilings, Main Floor Laundry, recessed lighting, fresh paint. Private storage locker, Carport. 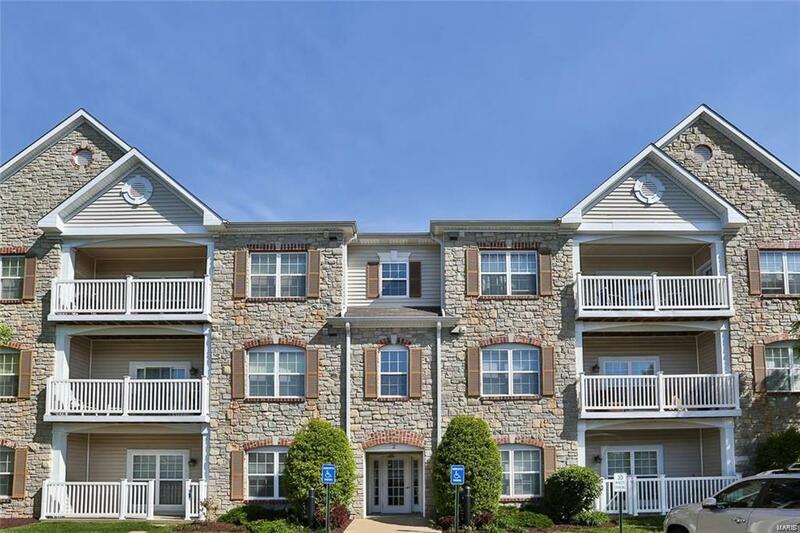 Walk to Chesterfield Aqua Center, YMCA, Mall, Walking Trails. Minutes from Hwy 40/64!